From treasure hunts, inflatable climbing towers and kiddies Clamber Clubs to mini trains and visits from the Easter Bunny, Gauteng’s premier entertainment destination is the place to be for the whole family this Easter Weekend. It starts on Friday, 25 March from 10h00 to 18h00 till Monday, 28 March 2016. Check it out! 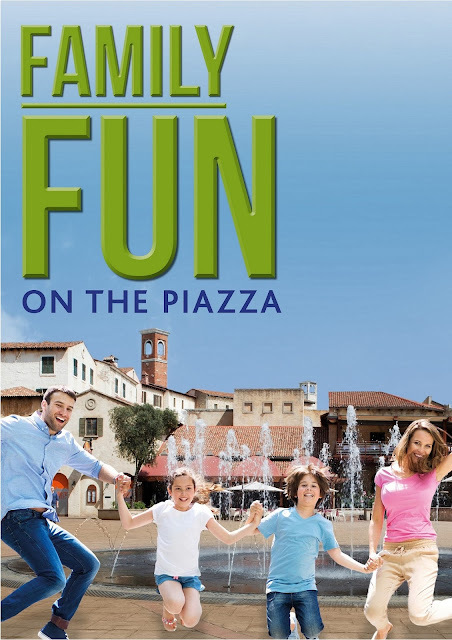 Kids will enjoy a full interactive fun day on the Piazza which will be transformed into a playground just waiting to be explored. Over and above the inflatable climbing towers, take home crafts, face painters and magicians, kids also have the option of joining the Clamber Club or Clamber Pamper. Clamber Club’s obstacle courses will definitely be a favourite amongst the boys, while the Clamber Pamper that involves everything from nails to toes will be loved by the girls. Entry into the Piazza is free. To add a traditional touch to their Easter entertainment, the Easter Bunny will be visiting Montecasino every day to hand out Easter eggs. He will be joined by the Bird Gardens Mascots, Lucky Liquorice, Jelly Tot man and the Oros man, each adding their own special touch of magic to the weekend. The Flights of Fantasy bird show takes to the stage at the Montecasino Bird Gardens at 11h00, 13h00 and 15h00 daily, with Easter treasure hunts on the 27 March to add to the four days of non-stop fun. Entries into the treasure hunts are limited so get there early to avoid disappointment. For more information on Montecasino’s Easter weekend celebrations, visit montecasino.co.za. You can also ‘Like’ Montecasino on Facebook (www.facebook.com/Montecasino) or follow @MontecasinoZA on Twitter.